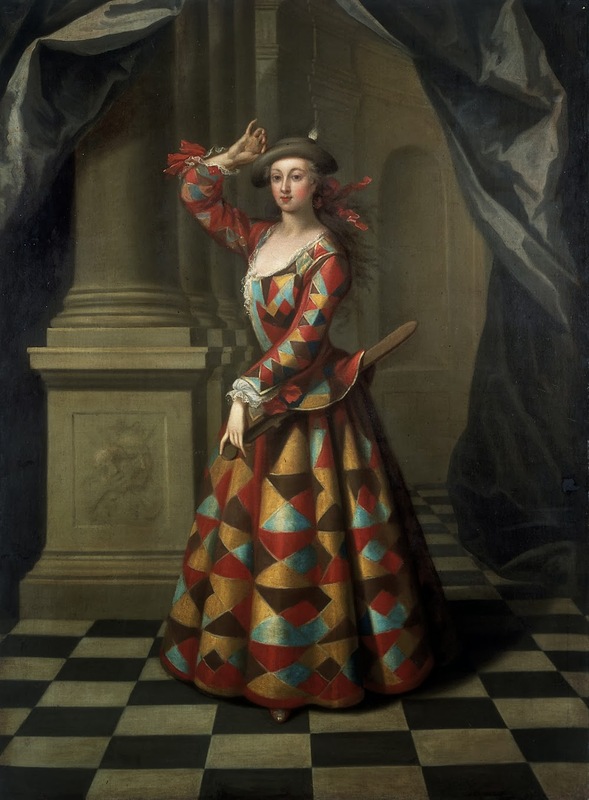 Today we leave the salon behind to take a trip to the theatre and a very notable date in the calendar of British dance where, on 2nd March 1717, the curtain went up at Drury Lane on The Loves of Mars and Venus, a piece by an English choreographer named John Weaver. In itself a theatrical premier may not seem like a particularly noteworthy event but The Loves of Mars and Venus holds an important place in the history of dance in Britain as it was the first ballet to be performed in the country. The kernel of the ballet's story is from Greek mythology though Weaver's main source for adaptation was a 1695 play of the same name written by PA Motteux. With a company led by Hester Booth, the ballet was the first staged work that contained neither song nor dialogue and Weaver intended to show that dance could be more than an amusement, but that it might tell a story all by itself. For those who wished to be sure they had correctly interpreted the work, the libretto of the ballet was made available for purchase at the same time of its staging; this was the first time a dance libretto was published. Weaver referred to his ballets as pantomimes and devoted himself to using dance and mime as a form of creative and narrative expression. He lived to the age of 90 and was an acknowledged expert of dance and choreography, writing books and essays on the subject throughout his life. What delightful information. The early beginnings of ballet being entertainment for the wealthy has certainly come a l-o-n-g way. I imagine Johnn Weaver would be shocked, amused and in awe of how today's dancers are able to perform with so much flexibility and grace. Thank you, Paddy, how lovely to see you! Oh, thank you! I hole she enjoys it! Any idea about the music? Handel was lying low at Canons, the residence of the Earl of Chandos in Edgware. Others such as Dieupart and even Daniel Purcell were writing some stage music. Sadly no. When the ballet was staged in London to celebrate the 2017 anniversary, the music was assembled from works by a selection of early 18th century composers, but the original score is unknown.